One level townhome in popular Maple Ridge subdivision. New paint throughout. Updated stainless steel oven,dishwasher, and microwave. Refrigerator, washer, and dryer remain. Home has Apollo heating system. Great room has vaulted ceiling, with wood burning fireplace. Replacement windows. Covered patio. Privacy fence has been updated. 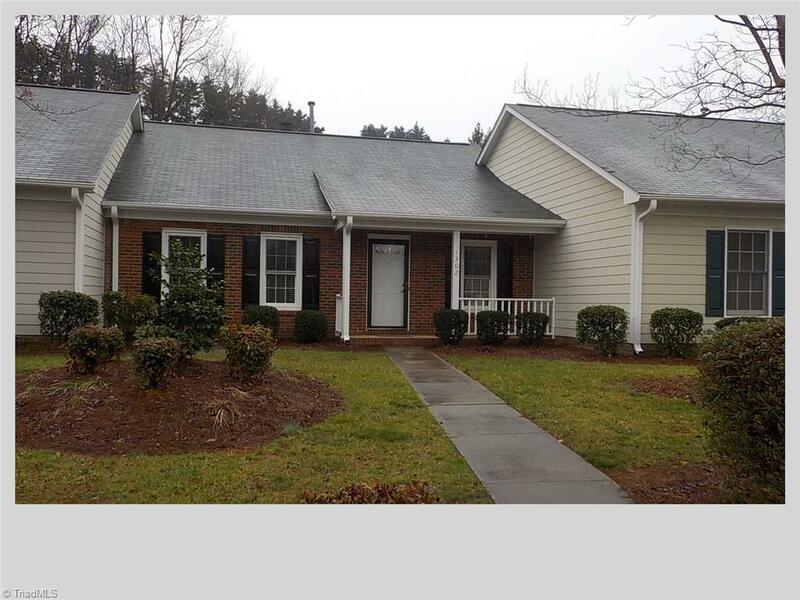 Convenient to Guilford College, airport, and New Garden Road shopping and restaurants. Easy access to interstates and Bryan Boulevard.